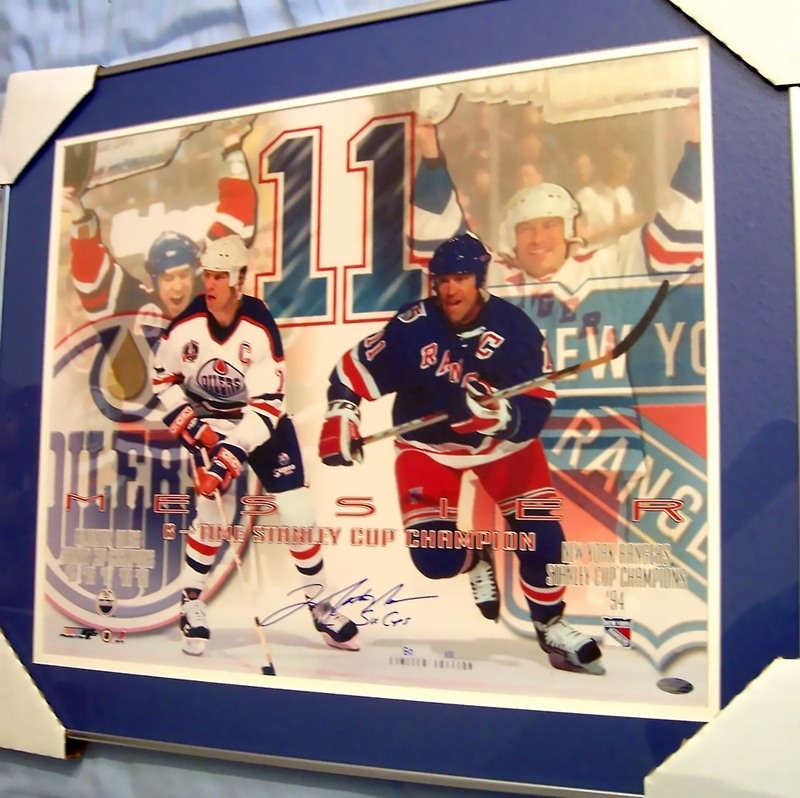 16x20 poster size collage photo honoring Mark Messier and his six Stanley Cups, autographed by Messier in blue marker and inscribed 6 Cups, professionally double matted and framed, ready to hang. #80 in a limited edition of 111. Authenticated by Steiner Sports, with their holograms on the photo and certificate of authenticity. ONLY ONE AVAILABLE FOR SALE.